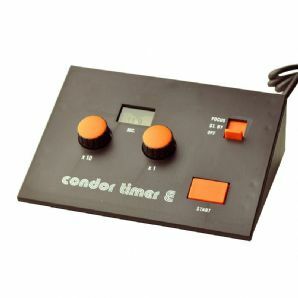 The Condor Timer E is a basic enlarger timer which is easy to use and will allow accurate and fuss free timimg of enlargements. Your enlarger plugs into the timer and the timer into the wall. Select the time, press start and your enlarger will come to life for the selected time.